Friendly and they washed my car on top of the oil change and updated my system. Awesome..no charge. Great Customer Service! ❤️ Very Respectful & Caring Of Your Time. Also They Provided Transportation For You Of You Needed To Go Back To Work & Just Wanted To Drop Off Your Car! I Loved It!! Man, oh man did Mike Shaw Kia turn things around!!!! I asked, they answered. I almost went to another dealership. I decided to give them another shot(I normally do not do second chances). Test drove the car I wanted for my son and immediately knew it was the right choice. Not just the car but Mike Shaw Kia as well. They were happy to help, knowledgeable, patient (which you cannot and will not find at most dealerships) and gave us the best deal possible. Absolutely loved the lady that my son signed documents with. She was personable and informative. 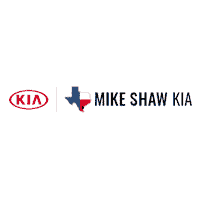 The people at Mike Shaw Kia did a fantastic job. I would highly recommend paying a visit to this dealership. I took my sons car back and explained that the key would not lock and unlock the car. These guys immediately said no problem, let us take care of that for you. You cannot get that kind of help at another dealership. I KNOW! I've experienced it. Something so simple and they are willing to remedy it. Thanks to all of the Mike Shaw Kia family that helped make this experience a memorable one!